Toshi Yoshihara, “Chinese Missile Strategy and the U.S. Naval Presence in Japan: The Operational View from Beijing,” Naval War College Review, Vol. 63, No. 3 (Summer 2010), pp. 39-62. In recent years, defense analysts in the United States have substantially revised their estimates of China’s missile prowess. A decade ago, most observers rated Beijing’s ballistic missiles as inaccurate, blunt weapons limited to terrorizing civilian populations. Today, the emerging consensus within the U.S. strategic community is that China’s arsenal can inflict lethal harm with precision on a wide range of military targets, including ports and airfields. As a consequence, many observers have jettisoned previously sanguine net assessments that conferred decisive, qualitative advantages to Taiwan in the cross-strait military balance. Indeed, the debates on China’s coercive power and Taiwan’s apparent inability to resist such pressure have taken on a palpably fatalistic tone. An unclassified Defense Intelligence Agency report assessing the state of Taiwan’s air defenses raises similar concerns. The study notes that Taiwanese fighter aircraft would be unable to take to the air in the absence of well-protected airfield runways, suggesting a major vulnerability to the island’s airpower. The agency further maintains that Taiwan’s capacity to endure missile attacks on runways and to repair them rapidly will determine the integrity of the island’s air-defense system. While the report withholds judgment on whether Taipei can maintain air superiority following Chinese missile strikes in a conflict scenario, a key constituent of the U.S. intelligence community clearly recognizes a growing danger to Taiwan’s defense. China’s missiles also threaten Taiwan’s ability to defend itself at sea. William Murray contends that China could sink or severely damage many of Taiwan’s warships docked at naval piers with salvos of ballistic missiles. 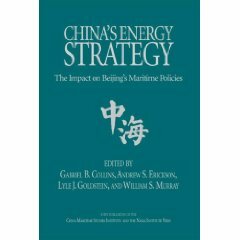 He argues that “the Second Artillery’s [China’s strategic missile command’s] expanding inventory of increasingly accurate [short-range ballistic missiles] probably allows Beijing to incapacitate much of Taiwan’s navy and to ground or destroy large portions of the air force in a surprise missile assault and follow-on barrages.” These are stark, sobering conclusions. Equally troubling is growing evidence that China has turned its attention to Japan, home to some of the largest naval and air bases in the world. Beijing has long worried about Tokyo’s potential role in a cross-strait conflagration. In particular, Chinese analysts chafe at the apparent American freedom to use the Japanese archipelago as a springboard to intervene in a Taiwan contingency. In the past, China kept silent on what the People’s Liberation Army (PLA) would do in response to Japanese logistical support of U.S. military operations. Recent PLA publications, in contrast, suggest that the logic of missile coercion against Taiwan could be readily applied to U.S. forward presence in Japan. 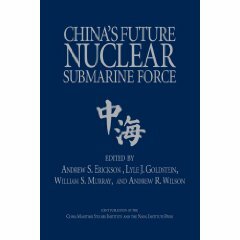 The writings convey a high degree of confidence that China’s missile forces could compel Tokyo to limit American use of naval bases while selectively destroying key facilities on those bases. These doctrinal developments demand close attention from Washington and Tokyo, lest the transpacific alliance be caught flat-footed in a future crisis with Beijing. This article is a first step toward better understanding how the Chinese evaluate the efficacy of missile coercion against American military targets in Japan. This article focuses narrowly on Chinese assessments of U.S. naval bases in Japan, excluding the literature on such other key locations as the Kadena and Misawa air bases. 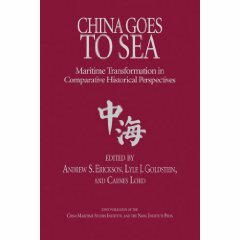 The writings on the American naval presence are abundant and far more extensive than studies on the land and air components of U.S. basing arrangements. The dispatch of two carrier battle groups to Taiwan’s vicinity during the 1996 cross-strait crisis stimulated Beijing’s reevaluation of its military strategy toward the island. Not surprisingly, the Chinese are obsessed with the U.S. aircraft carrier, including the facilities and bases that support its operations. 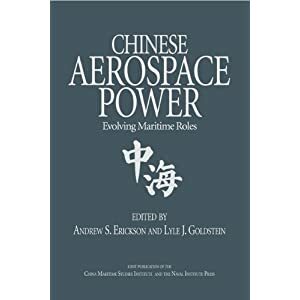 It is against this rich milieu that this study explores how the Chinese conceive their missile strategy to complicate American use of military bases along the Japanese archipelago.